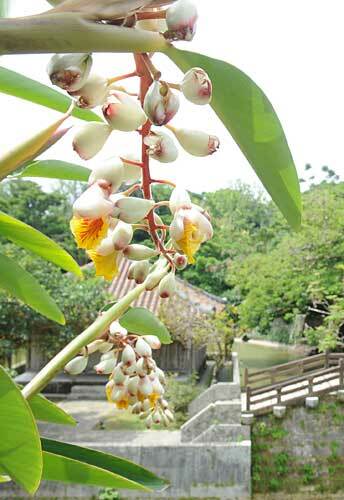 Getto is also known as Sannin in the Okinawan language and is a member of the Zingiberaceae family of plants. Rice cake steamed in its leaf is a traditional sweet called muchi, which is often eaten when people pray for health and good luck. With its antiseptic properties, the plant is becoming popular as a herb, as well as for its aromatic oil.